You already know that most of the top lenders (90% of them) use FICO Scores (the top name in credit scores) when making lending decisions (probably because we’re always telling you about it). But what does that actually mean? What really goes down when you apply for a loan? Whether it’s an automated approval process or a 60-day mortgage close, a lender is doing a lot to figure out if you’re going to pay them back on time or not. Here are a few things that might help you understand the approval process. FICO Scores aren’t just an arbitrary number provided on a whim. They are based on complex, mathematical algorithms that statistically evaluate a consumer’s credit risk with a point system. Points are assigned for different credit behaviors. A credit score is based on the concept that past behavior is predictive of future behavior. FICO scientists evaluate millions of credit profiles (depersonalized of course) to uncover the credit patterns that are most closely associated with people who don’t pay their credit obligations as agreed and compare these patterns with those of stellar payers. The data shows that consumers who exhibit similar patterns are also very likely to not pay as agreed. FICO Scores are designed to be a quick measurement of risk—meaning how likely you are to pay back your loan. Each lender determines what is an acceptable FICO Score in their approval criteria. 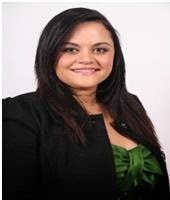 Each lender will set score thresholds for interest rates, terms and approval. And each lender is different. For instance, a 650 FICO Score may approve you for a 3% interest rate at one lender and a 3.7% interest rate at another. A FICO® Score is generated off the data in a person’s credit report. 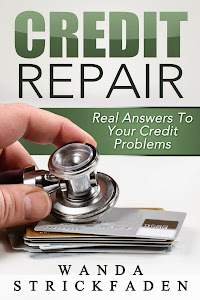 Most people have a credit report at each of the three major bureaus (Equifax, Experian, TransUnion). As such, most consumers have FICO Scores based on each credit report. 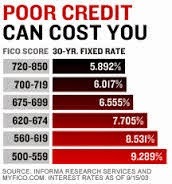 FICO invented the FICO Score algorithm. The bureaus generate credit reports based on your credit history. You can access FICO Scores and credit reports from lenders, bureaus and other sources. Got it? So when you apply for credit, your lender can pull your credit report and a coinciding FICO Score from any of the three bureaus. Each bureau has its own process for collecting and storing your credit activity so each credit report may be different. When the underlying data in the credit reports are different, the FICO Scores across the bureaus could be different as well. Are you still with me? The way a lender uses FICO Scores and credit reports can also differ. Each lender determines how they use FICO Scores in their credit approval process. Some lenders may consider only your lowest score, some take an average of your scores from all three bureaus, some may consider the highest score. There are a lot of options here. My point? All of your credit reports and FICO Scores matter. If you really want to be prepared for your next loan, it’s smart to monitor reports and scores based on data from all three credit bureaus. Of course, we like to be the stars of the show. But the reality is many lenders consider a lot more information than just your credit reports and FICO® Scores in the credit approval process. They may consider your employment history, proof of monthly income or the amount of credit you are seeking. Ultimately, try to remember that a lender doesn’t want to lose money. They’re trying to figure out if you are going to pay back your debts on time. FICO Scores are a great way to get a quick understanding of your credit risk, but as you can see, the process can be complex.